In recent months, the Provincial Government has taken some dramatic actions with the stated intent to sustain, conserve and protect possibly our Province’s most precious resource – our drinking water. Specifically, these actions have been taken with respect to the Permit to Take Water (PTTW) program administered by the Ministry of the Environment and Climate Change (MOECC). These actions raise a number of questions and concerns that, in order to ensure both Ontario’s fiscal and drinking water health, makes it critically important that your office undertake an audit of Provincial actions and spending surrounding this program. As stakeholders with a significant interest in the purity and sustainability of our drinking water, Canadian Bottled Water Association (CBWA) members are responsible stewards of this important resource and positive partners with the Province in this shared goal. The reason we are writing today, though, is because certain recent actions and statements made by the Province cause us concern that the Province is wastefully spending significant provincial funds in this area or is abdicating its responsibility for regulation and oversight of the use of this resource and is unfairly downloading its costs onto one industry. The most reliable previous information we have regarding the cost of operating the PTTW program comes from the 2014/2015 Environmental Commissioner’s report. In section 3.3 of that report, it was noted that, based on reporting by the MOECC, 2012 program costs of approximately $750,000 could be attributed to Phase One users of the PTTW program (of which water bottling companies are only one of seven industries in this category) (1). Phase Two and Phase Three water-takers, which includes other industrial and commercial users such as mining companies, pulp and paper producers, iron and steel producers, recreation facilities and power producers, were supposed to also pay a PTTW fee beginning in 2009, albeit at a lower rate. We are unable to confirm that they have ever paid any fees at all for their water-taking. Assuming inflation of 2% a year since 2012, that would mean program costs attributable to Phase One users of the PTTW program of a little over $825,000 in 2017. A figure of this magnitude has been confirmed in face-to-face meetings with the MOECC and by a MOECC representative at the September 6, 2017 Council Meeting of the Township of Puslinch (2). To provide some further background and context, CBWA members are active participants in the Province’s PTTW Program, as Phase One users. Our members welcome any and all opportunities to contribute to evidence-based contributions to a sustainable source for fresh water for all Ontarians. Assuming normalized costs for all Phase One industries (i.e. it costs the Province the same to administer the program for each of the seven industries that are Phase One users), $110,000 of the 2012 program costs and about $120,000 of the projected 2017 program costs are attributable to bottled water producers/manufacturers. As of August 1, 2017, the Ontario Government is charging only water bottling companies $503.71 per million litres of groundwater taken, which is a 13,500% fee increase that is being levied only for this type of permitted groundwater taker. Under the PTTW program, the bottled water industry is permitted to take about 13 million litres of groundwater a day. 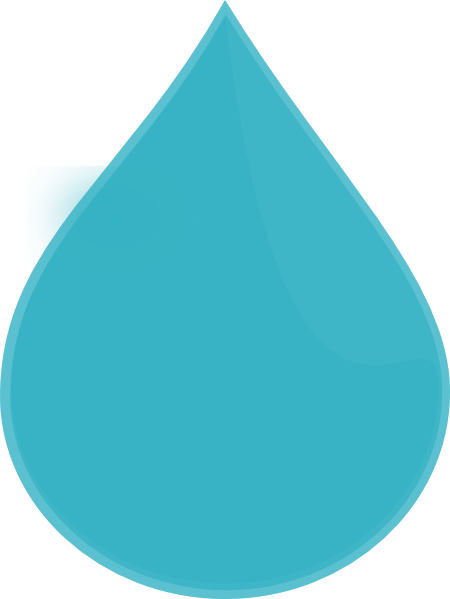 In total, PTTW holders are permitted to take approximately 7 billion litres of water a day. In other words, bottled water producers/manufacturers represent 0.2% of all groundwater that is permitted to be taken in Ontario. Assuming the bottled water industry took its fully permitted amount, the Ontario Government will be collecting nearly $2.5 million in fees for this activity. As you know, these fees can only be charged on a cost-recovery basis. Any amount charged over cost recovery is an indirect tax, which according to the Constitution the Province cannot levy. The Government is charging a fee that is not justified by the program costs incurred. Whichever of the above scenarios is the true state of affairs, these possible outcomes all militate for your Office’s review and audit to ensure Ontarians are getting value for their taxpayer dollars and, at the same time, appropriately managing this precious resource. CBWA members remain committed to sound, scientific and evidence-based public policy that will ensure the sustainability and protection of our drinking water for generations to come. This is a core value of each of our members. We remain committed to the proper management and stewardship of this precious resource. We believe this is an issue that is too important to all Ontarians to be based on politics rather than fact-based science and appropriate financial management.